A growing trend among businesses is the integration of a remote workforce into their organizational structure. 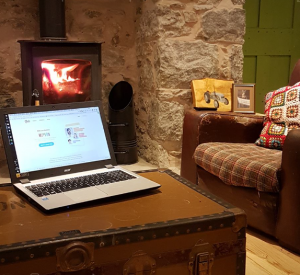 With real estate at a premium and top talent hard to find, the perks of a remote workforce are exponential. 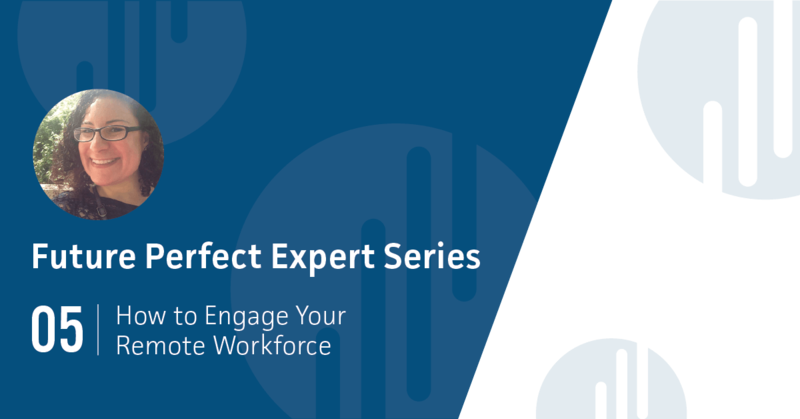 We had the opportunity to speak with Kasey Bayne, Marketing Manager for Olark Live Chat, about how to engage your remote workforce. When it comes to engaging remote employees, Kasey says the number one thing to remember is over communication. At the end of the day you need to be doing everything you can to make people feel included. Part of this is ensuring everyone is receiving the same information. This must be built into your culture and everyone in the organization needs to be on board with the process. Remote work is a growing trend, tell us why Olark has chosen to structure itself using this model? In the beginning we weren’t remote, we had two small offices in the US that all our employees worked from. The remote workforce began when one of our employees wanted to move back home but still wanted to work for Olark. Our founders felt it was more important to have the right people working for you and not so much where they live. Since then we have adapted our culture around this and are a majority remote workforce. The important thing to keep in mind when designing your structure is that you must build your company culture around this for it to be successful. How do you effectively engage your remote workforce while maintaining and setting stands for communication? Over communication is key and we use tools like Slack, Zoom and Google Docs to keep us connected. It is crucial to be frequently communicating, both as a manager and a team member. This can be done simply by asking questions and making time to have conversations. Instead of diving into a meeting, we catch up with each other and maintaining that friendly co-worker relationship. How do you encourage teamwork and create relationships between employees that don’t physically work together? A big part of Olark Live Chat’s culture is about building relationships and teamwork. Once a year we do a companywide retreat with all our employees and their families. 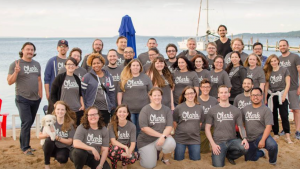 The Olark Live Chat team comes together for a week and while we do meetings we also do a lot of fun activities that allow all our employees to meet and connect with each other. We also do smaller retreats for departments to work on strategy and get to know each other on a team basis. A lot of our employees also make plans for tea time, which is just an informal meeting or a virtual coffee to catch up with people and get to know them on a more casual, personal level. For remote business to work, you need to build relationships and trust. Our company gives us the time and resources to make this happen which has really fuelled the process. How do you manage employees and hold them accountable for their work when they aren’t physically in the same space as you? This is challenging especially when you are taking on new team members. You really need to trust your people since you aren’t there. We do a lot of check-ins, and for some people in their first month I will check in every day to make sure I am being proactive. Providing opportunities for employees to ask things that you would normally just ask someone in person is key. Our team sets a very high bar about what we expect from each other and ourselves. Overall, we just try to maintain these expectations amongst each other. It is important to make ourselves available to our teams. That way, conversations can happen when they need to. To engage your remote workforce, there’s no way around effective, constant communication. How do you manage deadlines and set performance expectations when employees are remote? When I first started I struggled with this because I would give people deadlines that were a month out, but I wouldn’t break things down for them and provide check points. 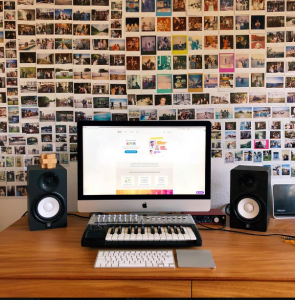 With remote work, you need to work with people throughout the process. Checking in and letting people know that they don’t have to wait until the project is complete to share it is important. We also have some great templates set up to assist us with this. To monitor performance, we complete two formal evaluations each year, and have gone through many versions of this process to get it where it is today. We let the employee and their manager go through different criteria we have set up. Also, we make sure each role has a clearly defined job description. Then, we collect feedback from employee’s team mates and people they work closely with on a regular basis. This gives us a different type of insight and feedback from what the management team might see, and it is valuable for both parties. 1) What is the biggest challenge when it comes to hiring for a remote workforce? Making sure that the people you are hiring know both sides of the coin, it’s not just about working in your pajamas. 2) How do you effectively implement policies in a remote workforce? Our HR team is awesome, they collect a lot of feedback and do a monthly HR show and tell. They do a presentation on policies and then host an open Q&A for employees to ensure everyone is on the same level of understanding. 3) How do you evaluate the results of your initiatives? Tons of surveys to get peoples feedback, both with and without names. The leadership team pings people randomly on slack to get their feedback on different things happening in the company. This helps to support our culture of communication and teamwork.